We obtain new enzymes and produce enzymes which mutations are introduced, using highly accurate gene amplification. 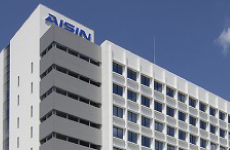 We can also provide contract services such as verification of enzymatic properties, quantitative analysis of genes(Analysis of copy number). 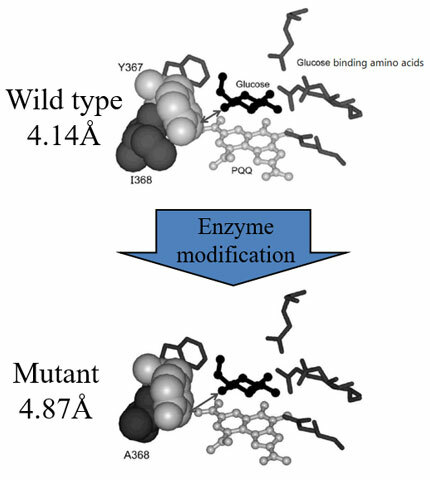 Using model analysis of glucose oxidase, we found the possibility that the change of isoleucine to alanine at 368aa causes nearby tyrosine (367aa) which consist glucose-binding pocket to move and expand the distance of tyrosine to glucose by 0.73 Å . We made a mutant exactly in that way and improved the enzyme activity more than 4 times at 10% glucose. We create high accurate amplifying DNA (RecA-PCR) by a heat resistant DNA binding enzyme(RecA). 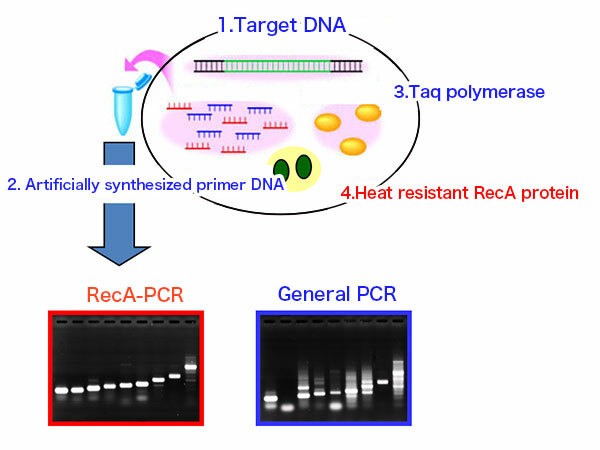 We established the technology for high specificity of annealing of PCR primer to create high accurate amplification of DNA, using purified RecA from thermophile bacteria. 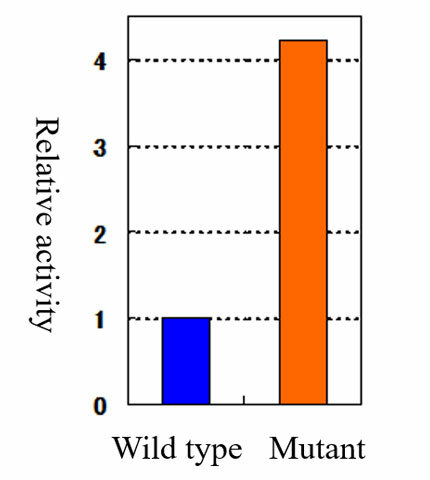 With this unique technique it is possible to acquire low copy number of genes or to amplify without changing the abundance ratio of multiple genes. Enzyme has function of the oxidation or reduction, property to bind with specific metals or chemical substances, we can expect to apply enzyme to biomass energy conversion, useful metal recovery or ultra-sensitive sensor and others. We are conducting research to isolate special enzymes from microorganisms that live in extreme environments such as hot springs and make enzymes that are superior in heat resistance and durability by genetically comparing with enzymes of normal bacteria.